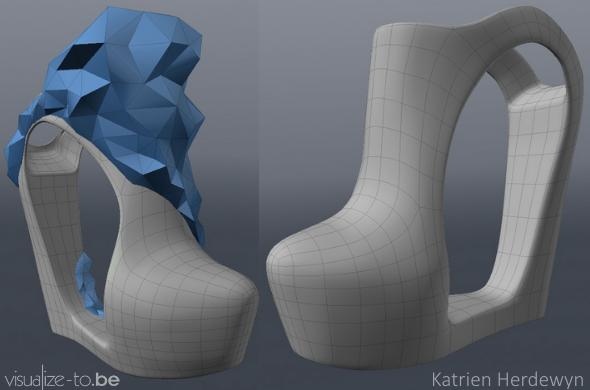 Calling all 3D Designers: Do You Have What it Takes to Join the i.materialise 3D Modeling Service? Are you a talented designer, or know someone who is? 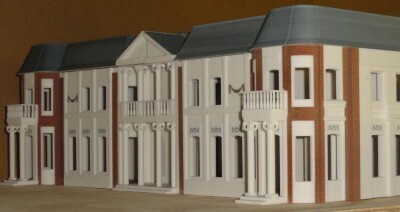 The i.materialise 3D Modeling Service might be the place for them! 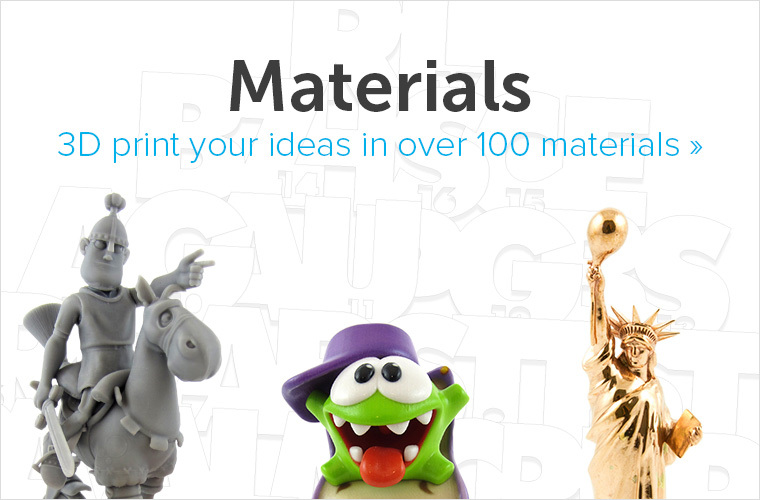 This exhaustive design directory is free to use, and provided as a resource to all of i.materialise’s clients. 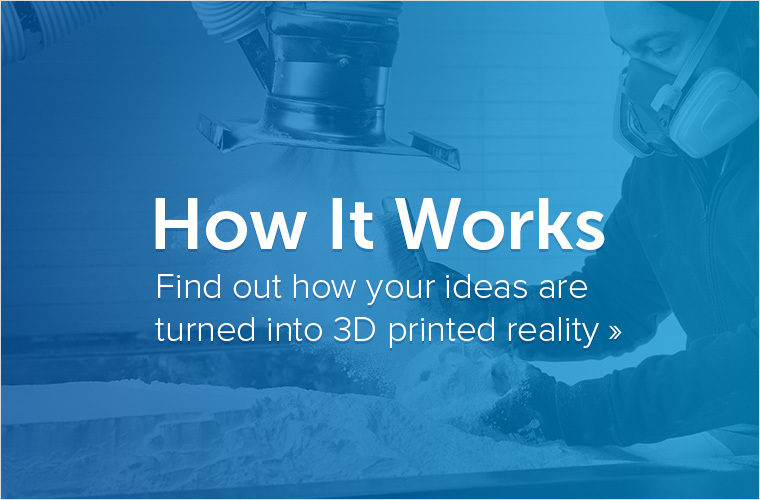 This growing list is the largest offered by any 3D printing service, and allows clients to find and commission a 3D designer to make ideas into 3D-printed-reality! Each applicant’s portfolio is vetted for quality, and designers are hand-picked for their exemplary skill and reliability. Designers can apply and submit their portfolios here. Read on about how Frederik Bussels, architect, 3D printed shoemaker, and owner of Visualize-to.be, is growing his 3D design business after being featured in our free directory. 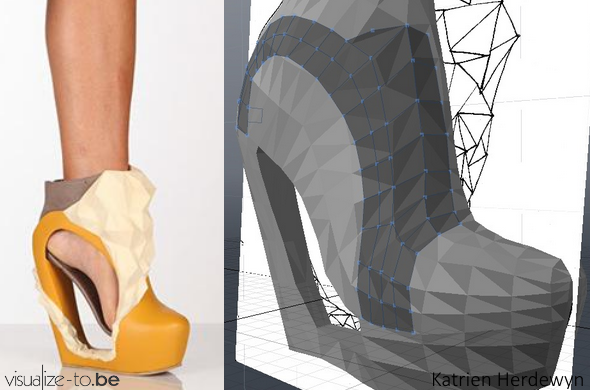 3D Printed high heel design by Katrien Herdewyn, modeling by Frederik Bussels. His business, Visualize-to.be has been a part of the 3D Modeling Service for just over two years. Since joining, Bussels has helped numerous professionals in the architectural, interior design, and product design fields realize their potential. 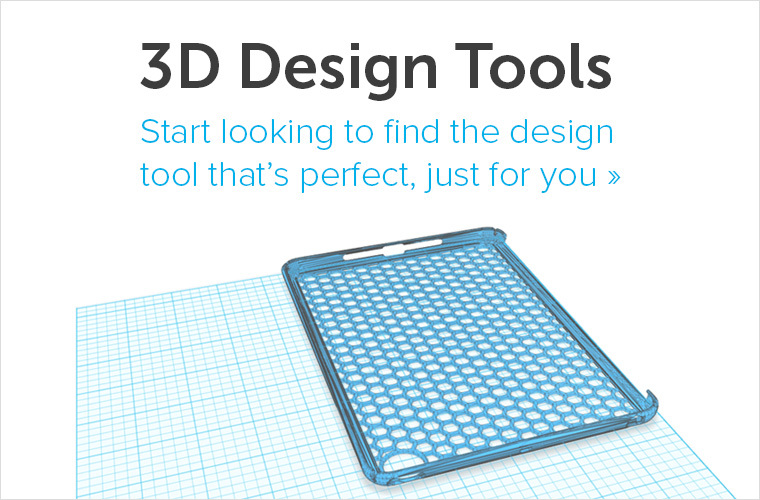 Bussels specializes in turning 2D sketches into 3D printed goods, and this skill connected Visualize-to.be with a global network of clients and partners. To stay connected to them, he speaks several languages: He is most fluent in English and Dutch, but has also used French, German, and Japanese with varying degrees of fluency. As a trained architect, Bussels understands the importance of a strong foundation, and adapting to clients’ needs. 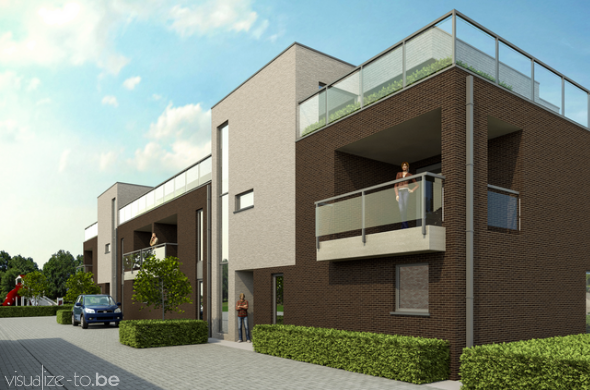 This past September, he worked from 2D files to create a full 3D architectural render of a Belgian building in under 8 hours. The man works fast: This render was based off a 2D file, and created in under 8 hours! Many artists have vision, but Bussels is an artist with the calm fortitude-of-will needed to turn them into reality. His skill and ability to keep deadlines also opened up unexpected new business markets, notably fashion design. He has worked with bright up-and-coming designers such as Royal Arts Student Rose Thurmes and University of Leuven Physics Ph.D Katrien Herdewyn. Thurmes commissioned Bussels to create jewelry based on splashes, featured in an exclusive photo shoot that raised awareness about climate change. 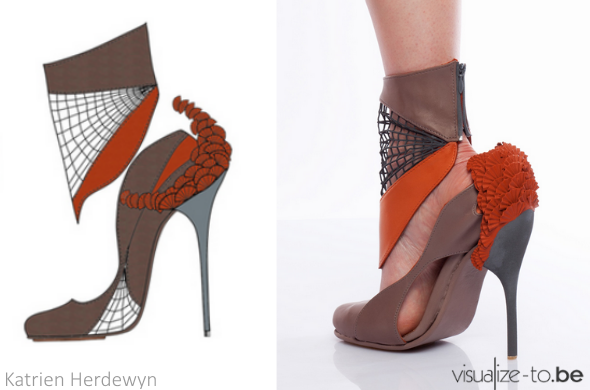 Herdewyn’s design sketch at left, and the finished 3D printed design created with the help of Bussels’s 3D modeling. From the 7 Sins Collection. Herdewyn partnered with Bussels to design something more mechanical: a collection of seven shoes with interchangeable high heels. Each heel is a 3D printed piece that is detachable from the main body of the shoe, and customized to represent one of the 7 Deadly Sins. Each sin is distinguished by differently shaped particles, including teeth, fans, and leaves. Bussels worked closely off of Herdewyn’s sketches to make this project into reality. The result is a collection of shoes distinguished by their marketable, “ready to wear” appearance. 3D printing technology helped create these shoes, yet they do not “look 3D printed.” These shows propelled Herdewyn into the semi-finalist round of the MUUSE x Vogue awards. 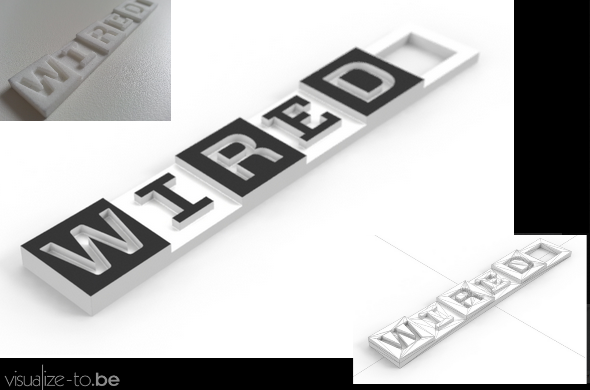 Wired.com keychain, created by Viz-to.be’s very own Frederik Bussels. Aside from his 3D modeling work, Bussels enjoys hand-drawing and strives to improve his local community. From cleaning and rehabilitating injured wildlife to cleaning up national forests, Frederik is a man whose word is backed by down-to-earth integrity. 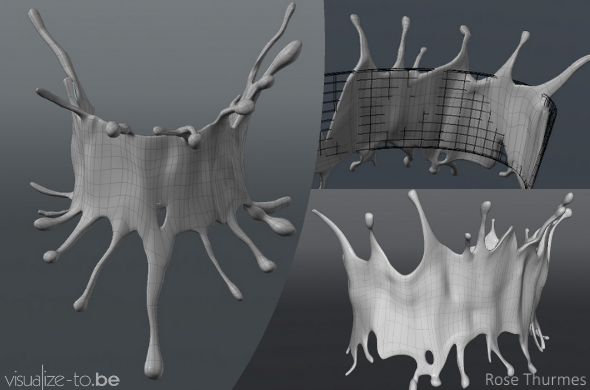 He is one of the many professional 3D designers on our 3D Modeling Service— and one of the finest examples of its community.